Terra Nova is in trouble and Lucas is behind it all. Lucas is racing to finish his two way portal to 2149 and Skye is suddenly looking very suspicious to Jim. Jim questions Skye and she realizes she’s very close to getting caught. She asks Josh to lie for her but really, when has that kid ever done anything right? He keeps up the charade for like, an hour, and Jim puts two and two together. Jim catches Skye sneaking out and shows the footage to an extremely disappointed Taylor. Skye is under a lot of pressure. She doesn’t want to be doing what she’s doing. And now she has to deal with Taylor bratty son on top of everything else. The nutball is now blackmailing Skye to break into The Eye and help him finish his calculations. Otherwise he’ll hurl her mother off a cliff. Really. Poor Bucket. Jim and Taylor set up a trap for Skye to tell the Sixers. She doesn’t give them the information. 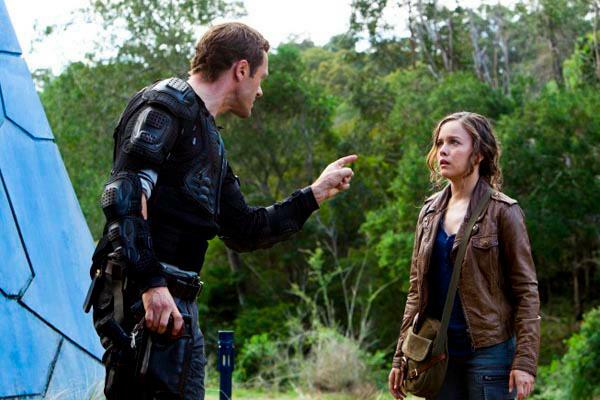 Lucas warns Skye not to return to Terra Nova because his calculations are complete and the two way portal is ready. The bad guys that hired the Sixers will be on their way to come and destroy Terra Nova. Why? Why destroy a home and innocent people? What could possibly be in it for them? Skye’s mother urges her to warn Taylor and leave her there. Taylor is unable to stop Lucas from activating the portal and Lucas books it to 2149. In happier news, Taylor gets Skye’s mom out of the Sixer tree hut. Not sure if a colony that’s about to be destroyed is the best place for her but still.